Mackinac Island weather, with its mild spring, temperate summer and crisp fall temperatures, is perfect for an active vacation when walking, hiking, biking and sight-seeing are on the agenda. And, the icing on the cake are the year round beautiful Michigan blue skies and light breezes in the spring, summer and fall. 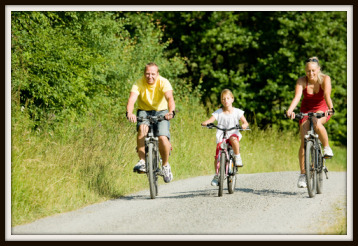 Planning a biking excursion around the island or a hike to see Arch Rock in hot and humid temperatures is not ideal on any vacation. No need to worry for July is the hottest month with the average temperature being 81°F . If the temp does reach above 81° F you can take wonderful walks or hikes inland to enjoy the coolness of the forested parkland. 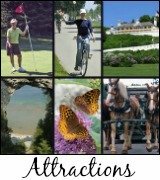 Eighty percent of Mackinac Island is parkland with over 60 miles of roads and trails for biking, hiking, horseback riding or taking a guided carriage tour. 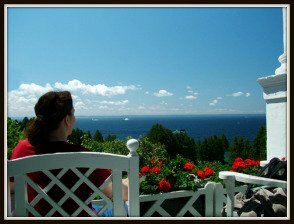 What is the typical Mackinac Island weather year round? There are two big factors to remember: One, the island is in northern Michigan, and two, it is smack dab in the middle of the Straits of Mackinac where eastern winds from Lake Huron and western winds from Lake Michigan meet. The Canadian border is only 50 miles north which attributes to cold fronts year round. So, the weather can be unpredictable with cold fronts from the north and rain storms from the east and west moving in quickly and leaving as fast as they came. 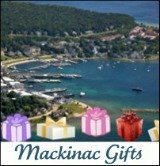 If you want to check out neighboring towns in the Mackinaw area just enter the name or zip code. 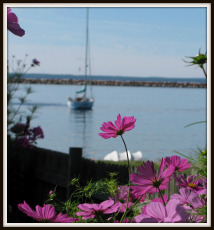 All Mackinac Island lovers believe the summer months in northern Michigan and the Island are ideal. 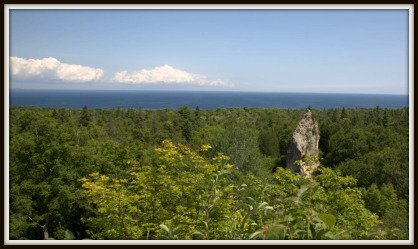 The average summer temperature on Mackinac Island is between 75°F and 79°F. It’s always smart to wear layers or put a sweatshirt or jacket in a small backpack in case the weather changes. The evening temperatures are awesome. 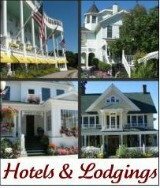 There is really no need for air conditioning on Mackinac Island although many of the hotels and inns have it. Open the windows and pull up a quilt or two for night temperatures can dip down to the low 60s. It’s great sleeping weather so enjoy! What to wear during your stay on Mackinac Island? Well, Marcia and Kathy’s best advice is to wear proper shoes! You will be walking most of the time and due to the fact that there are only horses for transportation, you know what that means? Yes, horse droppings (affectionately named Road Apples) are everywhere on the roads. So, think twice if you choose to wear flip flops or teensy weensy sandals. The island has a casual life-style which means leave the tie and high heels home! The Grand Hotel dining room is the only restaurant with coat and tie requirements. 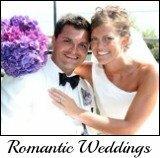 Many Islanders, summer residents or wedding guests will be all dressed up going to formal functions which is quite fun to see especially if you are just relaxing in shorts and a tee shirt! If you think you see "heat lightning" during the summer months you might be seeing the dynamite Northern Lights. Insider Tip: Don’t forget to ask if your hotel or Inn has a swimming pool or hot tub. For if they do, you will want to bring a bathing suit! There are no designated beaches for swimming on Mackinac Island as the waters are quite chilly! 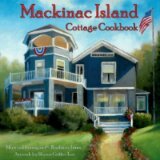 Return to Mackinac Island Vacation from "Mackinac Island Weather"